In the film Mr. Holmes, out this week, there's a new addition to the illustrious group of actors (Benedict Cumberbatch, Robert Downey Jr...) who have played the famed detective. 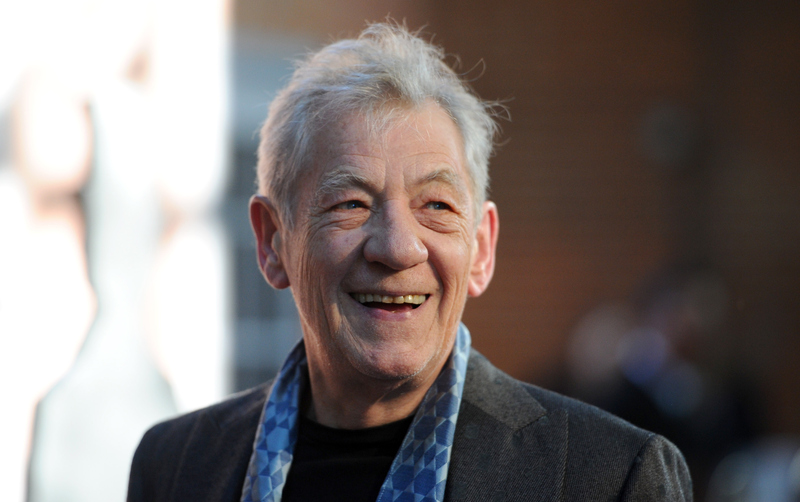 Ian McKellen stars as the 93-year-old Sherlock Holmes, well into retirement and not quite as sharp as he used to be. He revisits the last case of his career, prompted by his former partner Watson's publication of the case. He protests Watson's depiction of it, but struggles himself to properly recall the sequence of events, and the movie incorporates flashbacks and visual cues to help him reconstruct his own version of the case. The film is a fascinating character study that's guaranteed to leave viewers wondering about the future of McKellen's Sherlock. Most importantly, will Mr. Holmes have a sequel? Basil Rathbone, who played Sherlock beginning in 1939 and throughout the ’40s, is perhaps the best-known actor to have adapted the role. The first film, The Hound of the Baskervilles, was such a wild success that Fox immediately released a sequel. His character was then passed off to Universal Pictures for the subsequent installments, the last of which came out in 1947. The first two, though, are still Rathbone's finest, and the most faithful to the source material. He also starred as Sherlock in a lesser-known television series. Lawrence of Arabia's Peter O'Toole was the voice behind these animated, made-for-television films produced by the BBC in the ’80s. According to an investigation by Den of Geek, this is the first time that Sherlock appeared as an animated character. While other Sherlock adaptations are occasionally humorous, 1988's Without A Clue turns the character flat-out comedic. Michael Caine stars as an out-of-work actor hired to pretend to be "Sherlock Holmes," a character invented by Dr. Holmes (Ben Kingsley) so he can solve crimes under a pseudonym. Much hilarity follows. Simply but aptly titled, one of the most recent Sherlock adaptations stars Robert Downey, Jr. as a somewhat bumbling but adorable Holmes, with Jude Law as his Watson. The 2009 film has a super attractive cast, so what it lacks in faithfulness to the original books (it turns Holmes into more of an action hero), it makes up for in aesthetics. TV's Elementary is probably best known for its inventive casting of Lucy Liu as Dr. (Joan) Watson, a role for which she's been incredibly well received. Jonny Lee Miller co-stars as a post-rehab Sherlock Holmes, who has recently relocated to Manhattan. Watson functions as Holmes's sponsor, in a way, hired to ensure he stays sober but also working alongside him as a police consultant. Benedict Cumberbatch became a cult celebrity with his turn as Sherlock Holmes in the BBC series of the same name. Though there have only been nine episodes thus far, it's made a huge impression. Jonny Lee Miller of Elementary even resisted accepting the role out of trepidation that it was too similar to the BBC series, according to the Huffington Post. Sherlock has spawned a million fanfics — some of which, as reported by the Daily Dot, the cast members do read! — and it's probably the most referenced Holmes adaptation around right now. The first novel in the original Conan Doyle series was first published in a magazine, Beeton's Christmas Annual, in 1887. It launched four full-length novels and countless short stories, as well as all the varied adaptations that have followed. It's definitely worth a browse, if only to understand how the character evolved into the lauded and seemingly timeless phenomenon he is today. Perhaps it was only a matter of time before the already 130-year-old character appeared as an old man in one of his many forms, but I'm hoping that Ian McKellen's Mr. Holmes isn't the last. In any case, there are more than enough different renderings of Sherlock — from stage to television to literature to film — to satisfy while fans wait to see what's next for the immortal detective.